Ditch fear. Discover your inner warrior. There is so much to worry about: work, relationships, money, health... But instead of panicking over what could happen, why not choose a different path - one where you let go of worry and focus on getting the most out of life instead? Prepare to discover your inner fearlessness with this collection of simple but effective tips for breaking free of anxiety, tackling obstacles with resilience and resolve, and reaching for your dreams. 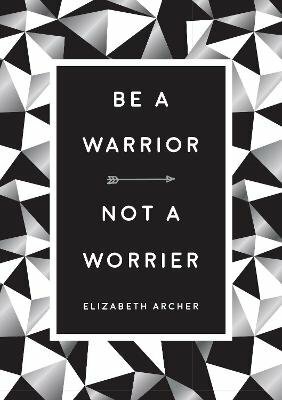 Bursting with confidence-boosting statements and inspirational quotes from those who tackle life head-on, this book will supercharge your strength and help you become a warrior, not a worrier.